I’ve over 27 years worth of experience in dealing with the difficult side of personal and spiritual energy cleansing and banishing nasty paranormal entities, so you are in the right place. This is a distant service. But how? Science has proven that everything, all matter in the universe is energy, everything has its own vibration and frequency. Some people can tap into that and use their own energy to work on improving or banishing certain energies. I’m one of those people. There can be any number of reasons why your home may feel “off” or unhappy. There is no “one size fits all” approach to cleansing, I will tailor my work to spiritually cleanse and clear your energy field, your home, and those you love. Our homes and places of work often have heavy residual energy problems. There can be a build up of layer upon layer of energy and/or negativity over years from previous or current occupants – even previous or current neighbours’ energy can seep into our space, affecting our homes and auric fields. Past events can leave a “stain” or imprint on the fabric of the land itself, not just buildings. I have cleansed homes built upon ancient battle grounds. Bedrock with high quartz content can record and amplify the effect of past events too. Buildings of any age will accumulate imprints of the lives lived out in them… just think of all the emotions, circumstances experienced by each and every person who spent time there… which we are marinating in too! Would you sit in someone else’s dirty bathwater? When we move into a previously occupied building, energy wise this is what we are doing! I have always cleansed and blessed every home I move into. Home may just not “feel” right at times, heavy, oppressive, even a false sensation of being watched can occur if enough residual energy is present. Maybe there’s nothing rational, factual or historically negative that you know of. This is where I can tune in to find the root cause, find the right solution and bring your space to peace and harmony. Taking the paranormal and your surroundings out of the equation for a moment, you may even have had a difficult period in your life you wish to leave behind and really start anew with a fresh clean slate. Paranormal or spiritual activity most often has a benign and kindly origin, such as loved ones who have crossed over wanting to deliver a message. Some activity is triggered by renovations or changes to a building, and needs to be calmed. In my experience, 9 times out of 10 it is our loved ones or friendly spirit visiting us in our homes or places of work out of curiosity or fondness for the property. In extreme cases physical issues can happen if an entity is just intent on causing harm to the living… thankfully this is very rare. For these cases I have developed a technique which has worked successfully many times. I use different energy work techniques to cleanse or draw whatever I find to me to deal with distantly here on my home ground. This is far safer for you than me being on site. I’ve found it much safer to draw any spirits here on home ground to deal, plus you don’t have to deal with any noise or disturbance while it’s happening. If I find a spirit I will start with counselling of the spirit person, but if need be I will use ritual and angelic assistance to remove and banish uncooperative ones. I have adapted the Roman Catholic exorcism ritual to a non denominational one which applies to all belief systems in order to ensure an ethical yet complete removal and banishment of any entity you do not wish to be around you. If appropriate I will rescue the spirit in distress or remove the problem. I then proceed to cleanse and close down your home. I seal it shut to the spirit world with pure energies so that it is no longer possible for any paranormal activity to continue. I make sure that only loved ones from the world of spirit are welcome in your home, or if you prefer, I can seal it completely. If the disturbance is down to a build up of negative energy from the living or neighbours rather than a spirit person, I will clear that energy and seal your home from further intrusion. 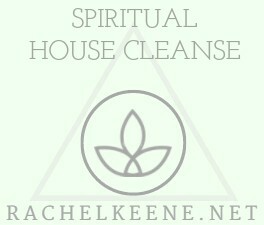 A building spiritual cleansing service is a spring clean of the atmosphere in your home. Your home will feel different, lighter, positive and peaceful, a welcoming and inviting place you are happy to come home to and live in. No matter what I find, I can help you. If you contact me I will listen, no matter how bizarre or strange the situation, it is very likely I’ve encountered similar elsewhere. Yes, weird is my normal! I have carried out many cleanses of people, spirit rescues and business premises blessings, both in person and distantly for clients as far away as the USA, Canada and Australia. I can carry work out for your friends and family’s homes too, they won’t feel me working just notice the benefits afterwards. Geography is no barrier to a cleansing being effective, as I can work from photographs and direct energy to wherever you are in the world with exactly the same positive end result for you. Click on the Book Now link below to make payment and book an available time on my calendar for me to do the work. I am not available at weekends, Monday to Friday only. If your home is affected, what kind of building? Is it old, new? Please list as many details of incidents as possible, including time of day to see if there is a pattern. Any known reason for this to happening? violent/negative history of the property, land or area you live in, previous occupants, deaths on site? What was going on in your life when it began – any difficult circumstances for you or other residents, mental health challenges, breakdown in friendships etc? Who else lives with you? Have you or any of the other occupants ever used a Ouija board or similar? You won’t notice anything strange happening while I’m doing the work but you will feel the difference in atmosphere when the work is completed. Please note I no longer carry out visits in person as I have developed ways to draw the energy to me which is far safer for you. This makes no difference to the potency and efficiency of the work carried out, as time, space and geography make no difference to it’s effectiveness. However, if you feel strongly that a person needs to visit you on site then I wish you well seeking out another avenue of help.